Bugs to Eat from the Pestaurant! We were visited by two scientists from Hygiene Angels who brought with them a variety of edible insects; these included salt & vinegar crickets, Mexican Spice mealworms and chocolate-covered bugs!! They also shared some interesting facts about ‘entomophagy’ (the official name for insect eating) as well as discussing why insects can provide a viable and sustainable food source for the future. The team also demonstrated the importance of proper handwashing. 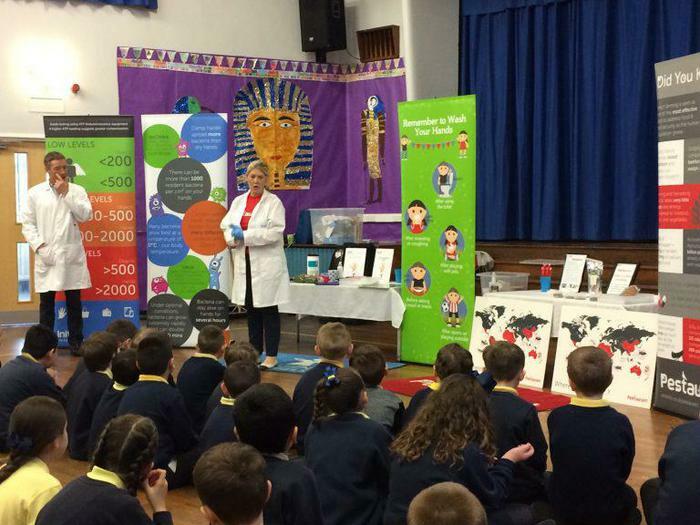 We all had a practise – and four children volunteered to have their hands swabbed which meant we could see on the scale (seen here) whether they had low, normal or high levels of germs. 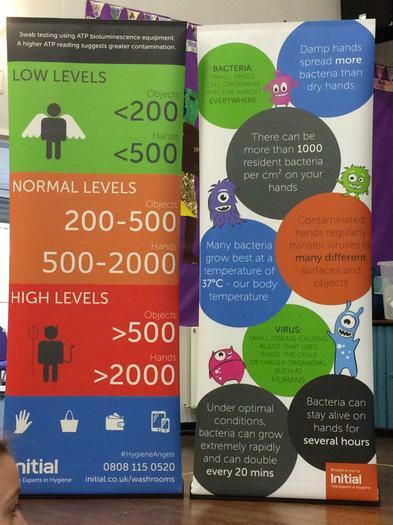 You’ll be pleased to know that most children had normal levels and one had high, but after going away and washing their hands properly, they all came back with very low levels of germyness! By having the Hygiene Angels team, from Rentokil Initial UK, visit us we also contributed to the Malaria No More UK charity. Every mile travelled on the tour meant they would donate £1, and to come to us they had travelled 400 miles – that’s a big donation! You really can improve the cleanliness of your hands by giving them a thorough wash.
At the end of the session we all had a chance to try eating some kind of edible insect and what I was most impressed with was that most of the teachers and children were eager to try. 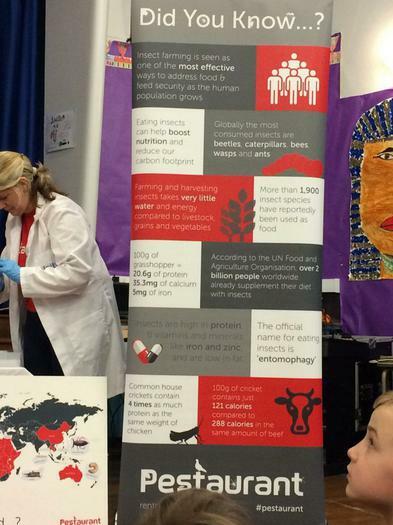 Thank you to the Rentokil team and to all the children for being so interested and keen to try a food that is very different to what we usually eat.